Beau Tylor was one of those British 1960's UK counter culture "ROCKERS". 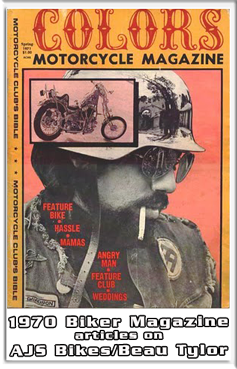 He's had rode bikes & played guitars since the mid-50's. 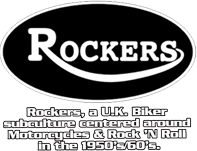 Tylor had about a 1/2 dozen British "Matchless" Motorcycle from the 1950's & early 60's that were in running condition. 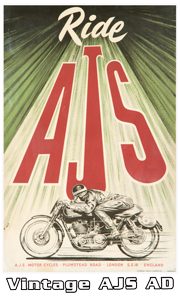 Which included his beloved and very rare AJS 7R "Poor Boy" racer from 1948, which was the 1st year they made this model. 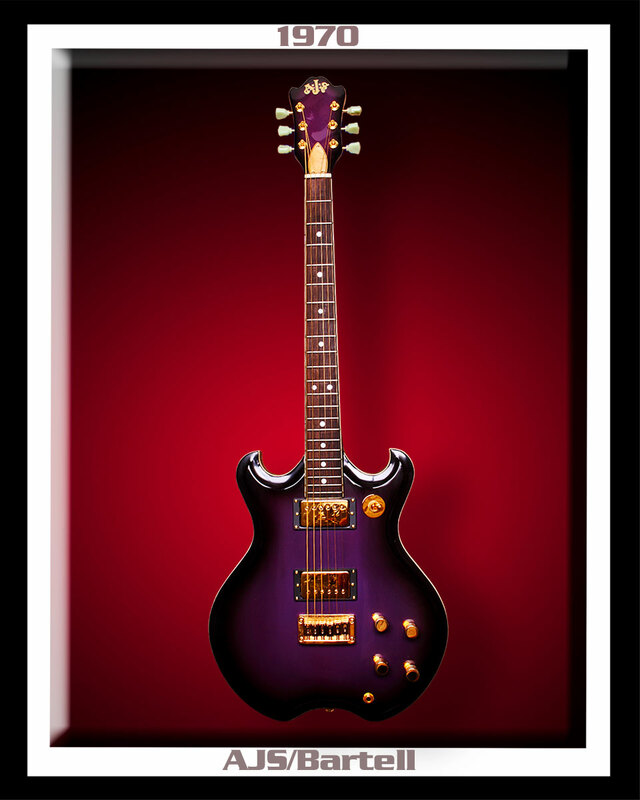 Tylor's other passion was his guitar collection which includes USA models from the 50's & 60's. 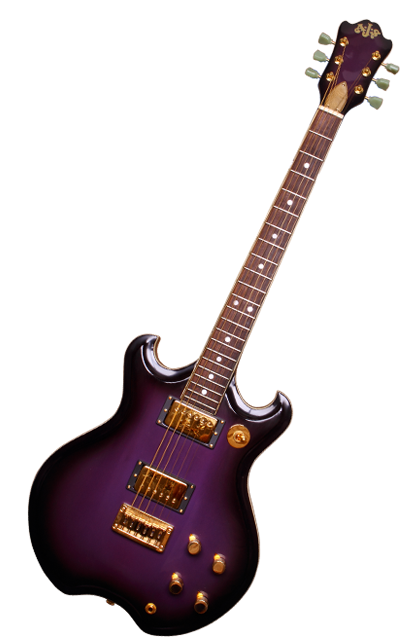 Included in that collection were various Gibson, Fender, and Magnatone models and... this personalized and very distinctive custom... AJS/Bartell-built Guitar. 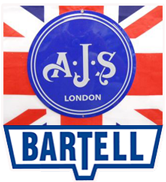 This customized AJS/Bartell guitar was built in 1970 explaining the odd AJS logo on the guitar's headstock. 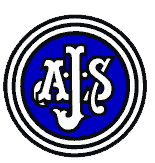 We did a little research on AJS Motorcycles and found that these vintage motorcycles were manufactured in Wolverhampton, England by the A. J. Stevens Company, from 1909 to 1931 then taken over by BSA. This 1970 special-order Bartell Guitar was built in Riverside, CA and is considered a very rare Paul Barth one-off special-order model. This AJS/Bartell guitar was constructed from bits & pieces... requested by Beau Tylor, the original owner, which included a pair of vintage (bridge and neck) '57 P.A.F. humbuckers.